It’s a far cry from the opaque plastic pharmaceutical bottles in which most medicinal marijuana is sold. There are strict laws surrounding medical marijuana that dictate exactly how and where dispensaries can display their products to potential customers. But one dispensary is using clever design to display its products legally–and save money. 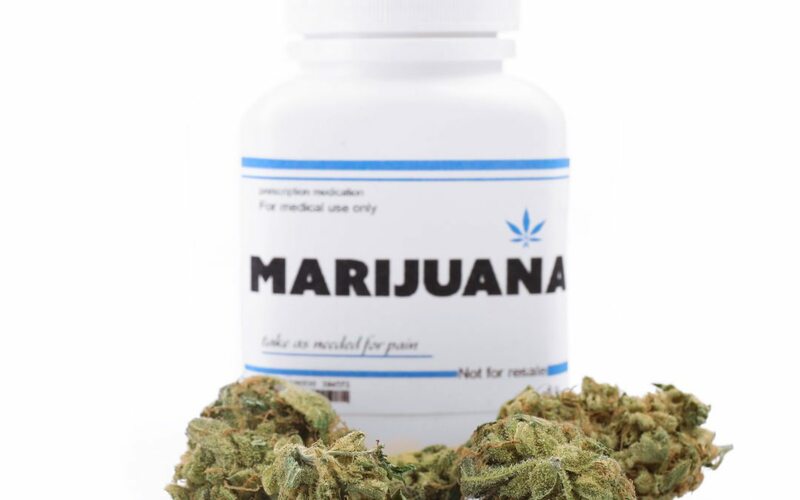 In Illinois, the law states that if the seal on a bottle of medical marijuana is broken, the dispensary has to sell the product within seven days or dispose of it. For the Chicago medical marijuana establishment Dispensary 33, putting flowers on display–a necessary part of its sales strategy–required it to break the seal on the supplier’s plastic bottles, which are opaque and unsuitable for display. That meant that this dispensary was literally throwing money in the trash–it was losing $50,000 per year as a result. The dispensary turned to Chicago-based architecture firm Perimeter Architects, which had designed Dispensary 33’s space the year prior, to redesign its display packaging. The goal? To actually show off the product itself, letting customers see what they’re buying, all without breaking the seal. The architects’ solution was a custom-blown glass bulb with a wooden base that twists together and uses a pressure locking mechanism to maintain a seal. The custom glass top is paired with a laminated wood bottom. Each has a negative or positive pressure locking mechanism, neatly pairing to keep the dispensary’s product legally fresh. Designed primarily by the architect Jaime Magaliff, the Dispensary 33 display packaging won an AIA Chicago award last month. It’s a far cry from your average medical marijuana packaging, which often looks like an opaque prescription bottle. “The clients thought that was not up to par with the rest of the design of the space,” Magaliff says, which is decked out in custom murals. Unfortunately, customers won’t be able to take home their weed in one of the little glass packages–they are for display purposes only, given that each of the 60 that the dispensary commissioned cost about $120 to make. The dispensary’s display case, where the new glass bulbs will go, also skirts the law. Legally, no product that has any kind of cannabis can be physically accessible to customers on the sales floor itself. Perimeter’s design for the space features an aquarium-style display case that’s technically on the boundary between the sales area and the storage area. It’s almost like a glass wall that divides the two areas, but it can only be opened from the back. It’s an architectural solution to a legal requirement that satisfies both the law and the business. While you can’t take Perimeter’s marijuana packaging home with you today, the firm’s work makes it easy to imagine a marijuana shelf that looks just as nice as your wine cabinet.